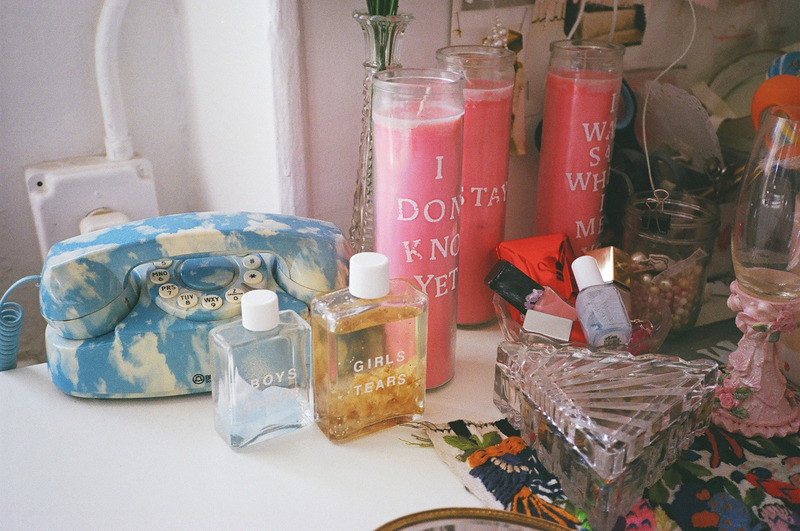 Julia Baylis and Mayan Toledano create a just-us universe for girls by girls. 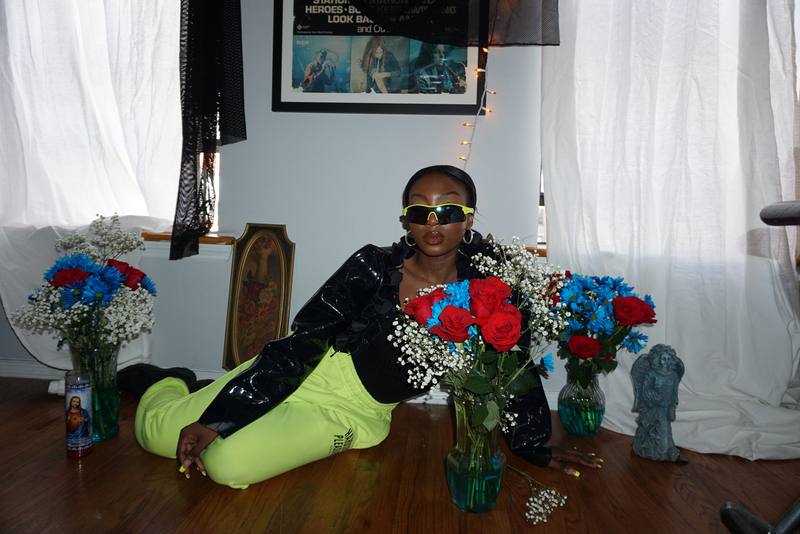 Me and You, the sweetly-titled clothing and accessories line by Julia Baylis and Mayan Toledano, is its own pink-hued microcosm, a just-us universe for girls and by girls. 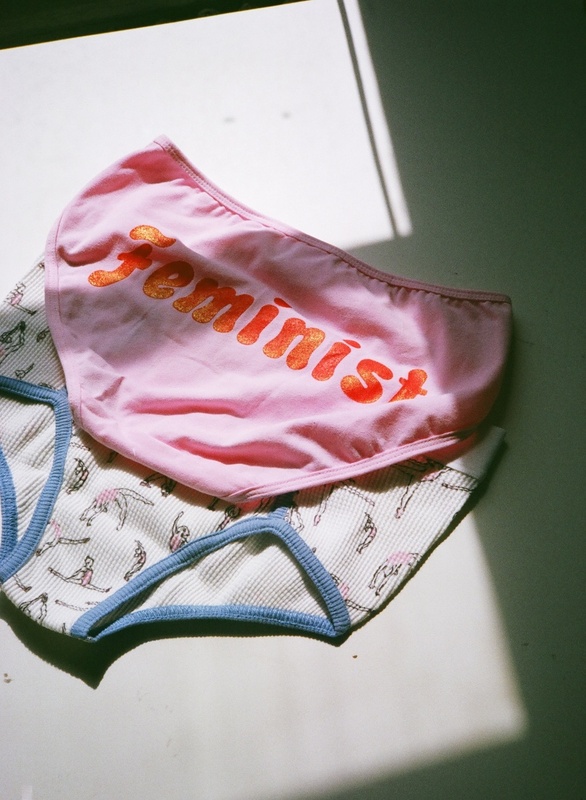 As part of The Ardorous, the Petra Collins -founded all-female art collective, Baylis (a creative director and stylist) and Toledano (a creative director and photographer) are young feminists by default, emblazoning the very word (in bright pink bubble letters) on the underwear and T-shirts for which the line has become known. Me and You’s aesthetic—often compared to a teenage girl’s bedroom, all stickers and VHS dream sequences—lends itself well to Instagram and has prompted legions of girls to post underwear-clad selfies. But that dreamy world propagated by The Ardorous and those of their ilk is more than just (very) pretty: After meeting at Parsons School of Design, Baylis and Toledano found themselves disturbed by fashion’s pandering to thin, white, cisgendered, moneyed bodies. Like Collins, they wanted to create a world in which young women could feel safe—not excluded. Me and You’s models, captured by a variety of photographers in an array of photo series, fit no particular stereotype; one need not be petite to wear a pair of “Feminist”-inscribed underwear. Their line has since expanded to include accessories (nameplate necklaces, hoop earrings, lighters), cozy oversized sweaters adorned with phrases like “Don’t Touch,” and collaborative pieces (such as their thermal underwear and shirt set, created in conjunction with MadeMe). We spoke to the two about the inception of the label and the ideas behind it. How did the two of you meet, and what about your own practices brought you together? We bonded over watching the first episode of Girls one day after working at school. We still watch that show together; we love Lena Dunham! We were both struck by the fact that we grew up on completely different sides of the world—Mayan in Israel and Julia in Canada—but had such similar sensibilities and values. We both went to art high schools and had really strong groups of girlfriends around us growing up. That has really influenced what we do, because we feel such comfort creating a world for girls and finding strength in female friendship and support. 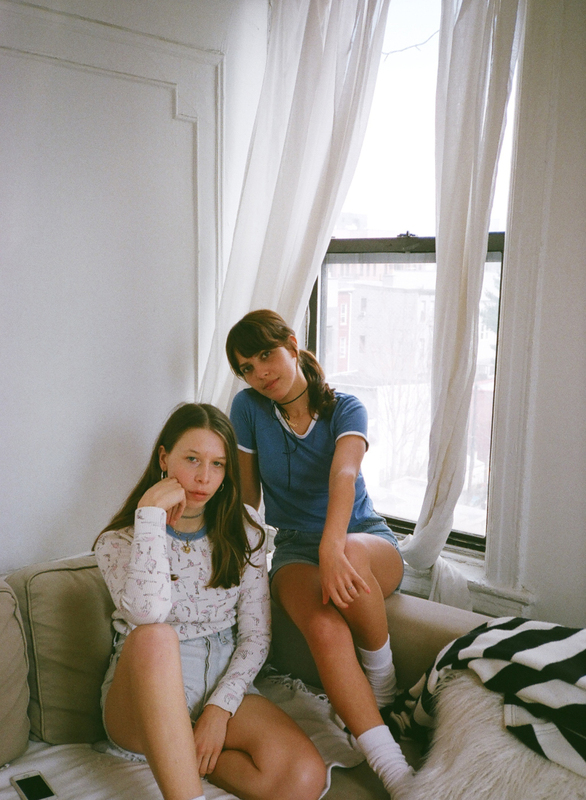 When did you begin collaborating with the people in your crew, like Sofy Mesa and Petra Collins? The spirit of collaboration is really important for Me and You. This really goes back to the crew of girls that we were talking about. We want to share the female experience and draw from as many facets as possible. We wanted to create Me and You to be a safe space for girls everywhere, and not just draw from our own personal experiences. 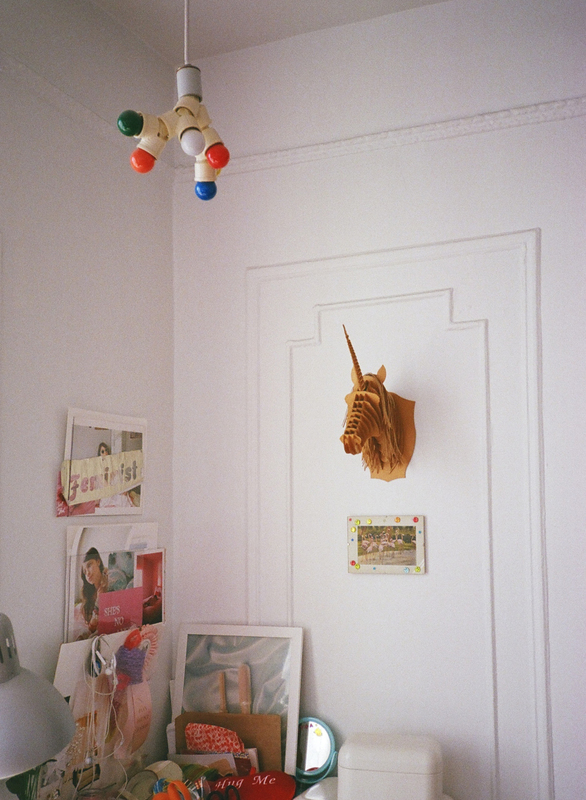 Mayan, you’re an exceptionally dreamy photographer. Can you tell me about the development of your own craft? I grew up dancing and always had a tight group of like-minded girls around me. Dance was such a huge commitment from a young age. It is a competitive and super disciplined art and it’s where I first started expressing myself. I think being surrounded with a lot of beauty and pain really shaped my perspective and was the main reason why I wanted to capture everything around me. I started taking photos more seriously when I was given an old film camera from my uncle; the quality of film allowed me to play with light more. Julia, tell me about your own creative background as well, and how that led to the kind of work you’re doing now. I also work as a creative director and stylist. I’m super lucky to have the support of Mayan, my boyfriend, and my family, who supports all my pursuits. My parents didn’t disown me when I said I wanted to go to art school or when we decided to start our own business before even graduating. My dad still helps us a lot on the business side of things! To have a clothing line or to be a photographer isn't necessarily groundbreaking...but trying to change media and the way young girls perceive themselves is. Me + You gets cited for promoting feminism and female empowerment. I think it’s important that you both often say it’s not so much about the clothing, and more about inspiring girls to feel confident in their bodies, no matter what they wear. Can you say more about this? I think it was Marshall McLuhan who said, “The medium is the message.” It’s not just the products that we produce, but the girls, photos, energy, and values that really illuminate the world. To have a clothing line or to be a photographer isn’t necessarily interesting or groundbreaking, but trying to change media and the way young girls perceive themselves is. From birth, we are told by the media to judge other women by their appearance. The Internet has been amazing for providing spaces and platforms for women and women of color. We no longer have to look to magazines and traditional media to tell us how to look, act, dress. The Internet generation really values the individual, which is awesome. Which is why it’s so good that you collaborate with all sorts of bodies and showcase different types of beauty. How did you get together to promote something so important? We started this largely because, in fashion school, we were taught to design for one body type and one type of income bracket. Fashion fetishizes white, thin, wealthy bodies, and we felt those values were emphasized in school especially. We mostly created Me and You for ourselves and our friends—we wanted to create images and products that celebrated girls of all kinds. We made the “Feminist” underwear and t-shirts one day in the print shop at school, and we never intended to sell them until people starting asking on Instagram. 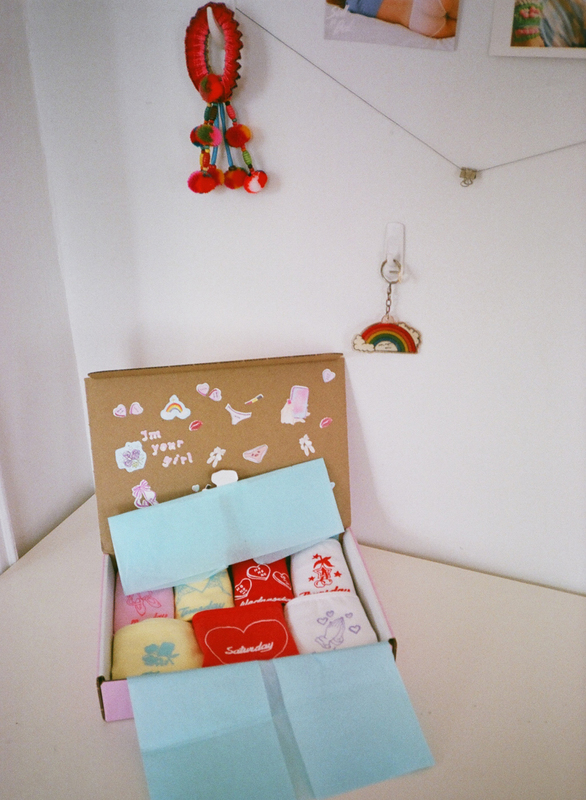 The underwear has been our bestselling item and has basically been the foundation of our business. It’s so cool and comforting to know that people want to support a young, female-run brand.